Confession: I didn’t know I liked Greek food until I walked into Saloniki Greek. And even that was pretty much an accident. Some people might head to the famous Fenway neighborhood to catch a baseball game, but I used to go for one purpose alone: the giant CityTarget. But I had to walk by this restaurant with these eye-catching bright blue doors to get there, and finally, I got curious enough to go inside. I guess I still don’t know if I really like Greek food, because Saloniki isn’t "traditional" Greek. It’s sort of like what Chipotle is to Mexican food, right down to the conveyor belt-style concept. You pick your protein and whether you want it in a salad, bowl, or pita sandwich, then add as many toppings and sauces as your heart desires. There are a few pre-set options, like the Niko (lemon-oregano grilled chicken and tzatziki sauce), or my all-time favorite, the Despena (zucchini-feta fritters and garlic-yogurt sauce). Recently, they've added soups to the menu, like the YiaYia's (white bean and local tomato), and Lentil and Loukaniko (sausage). 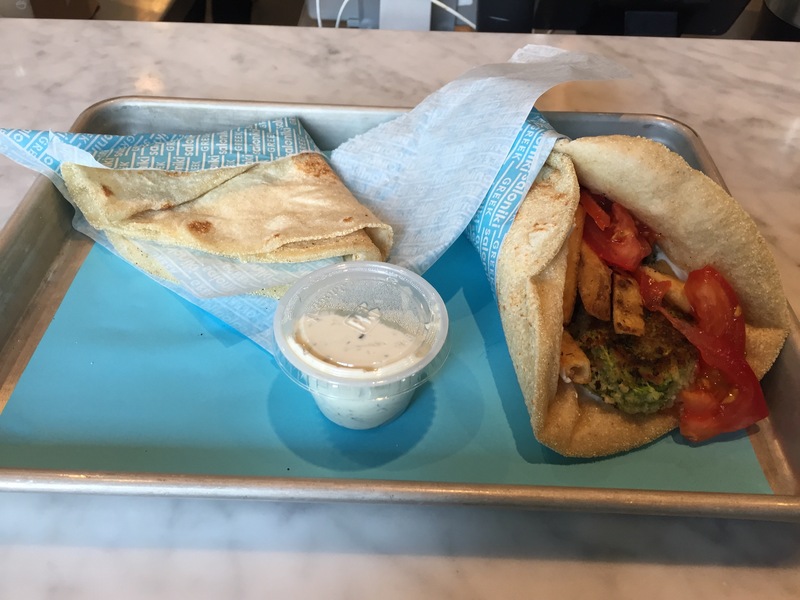 If you go when it’s busy, your pita bread might come from a warming basket, but most of the time it’s freshly pressed and cooked on the griddle while you watch. I almost always end up ordering a second one to eat with the delicious cucumber-yogurt tzatziki sauce. Oh, and Greek sandwiches, also known as gyros, apparently come with the fries inside, which confused the heck out of me the first time. Now, I don’t know why I ever doubted it. 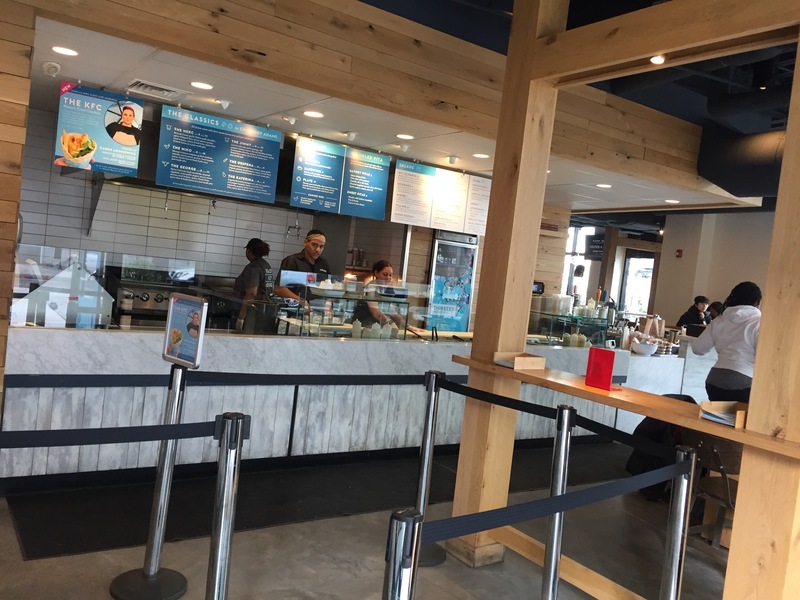 The latest contender in the steadily growing “fast casual” category, Saloniki is the brainchild of award-winning chef Jody Adams, Jonathan Mendez, and Eric Papachristos. The name comes from the Greek island of Thessaloniki, where Papachristos grew up. All ingredients are locally sourced, and the menu is updated seasonally. They have beer and wine on tap, as well as their rendition of a Greek frappe—instant coffee whipped with evaporated milk and served over ice. (It tastes quite strongly of bitter espresso unless you ask for it to be made "light.") For dessert, try their baklava crisps, yogurt with fruit compote, or the little fried balls of doughy heaven called loukoumades, which can be topped with either honey or Nutella. When I initially became enamored of this restaurant, I had a fleeting thought of taking someone here on a first date, but that quickly vanished. I’ll be blunt: there is no ladylike way to eat these sandwiches. But it makes a wonderful mid-week pick-me-up lunch when I’m flying solo. It’s not exactly cheap (a sandwich runs about $8-$9), but it makes for a nice break in the endless stream of pizza and Chinese food that typically compromises the college student’s diet. It’s even pretty healthy, since I’m usually too stuffed from the sandwich to order dessert. I just found out that they recently opened a second location in Cambridge, but to me, Saloniki will always be the little building in the shadow of Fenway Park. Though the Fenway neighborhood is full of top-rated restaurants serving up just about every type of cuisine imaginable, this is by far the place to be. Saloniki Greek is located at 4 Kilnarock St, Boston MA 02215.